The Vivo V7+ has been launched in India. Earlier today, we reported about the technical specifications of the phone thanks to a leaked listing on Amazon India. Here’s a recap of the device’s specs. The Vivo V7 Plus Matte Black sports a 5.99-inch HD (1440 x 720 pixels) Full View display which has an aspect ratio of 18:9. The device has minimum bezels, and the IPS screen offers a 84.4% screen to body ratio, and has Corning Gorilla Glass protection, at a pixel density of 268.8 PPI. The phone runs on Funtouch 3.2 OS based Android 7.1 Nougat, and is powered by a Qualcomm Snapdragon 450 mobile platform, with 4GB of RAM. In terms of storage, the device has 64GB of internal memory, and supports up to 256GB of expandable memory via a microSD card slot. This is a dedicated memory card slot, which is part of the triple tray system, with the other 2 being NANO SIM card slots. The Vivo V7+ features a 16 megapixels rear camera which supports bokeh, PDAF and sits next to an LED Flash. The front camera is a 24 megapixels Moonlight selfie lens which has Face Beauty 7.0, and also supports portrait mode for blurring the background. 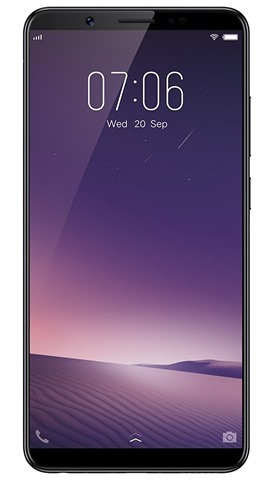 The Vivo V7+ has a microUSB port, a 3.5mm audio jack, and a AK4367A Hifi audio chip, The device is packed with a 3225 mAh battery, and has a Compass, Gyroscope, Ambient Light and Accelerometer sensors. The phone works with 4G LTE, Wifi and Bluetooth connectivity, among other options. 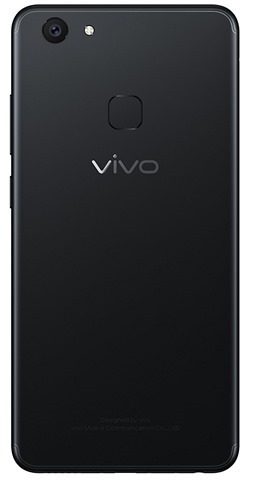 The Vivo V7+ has been priced at Rs. 21,990 in India. The phone will be available from September 15th, from Amazon, Flipkart and major retail stores. The Vivo V7 Plus comes in Matte Black colour.